Everyone is so busy these days, running around doing more than a million things at one time. I struggle with finding time to relax and unwind. I don't put aside time to just breathe and be. It can have major effect on your energy levels if you don't take time to be with yourself and relax. I love the peaceful-ness I get with baths. They help me to relax and cleanse my skin at the same time!! 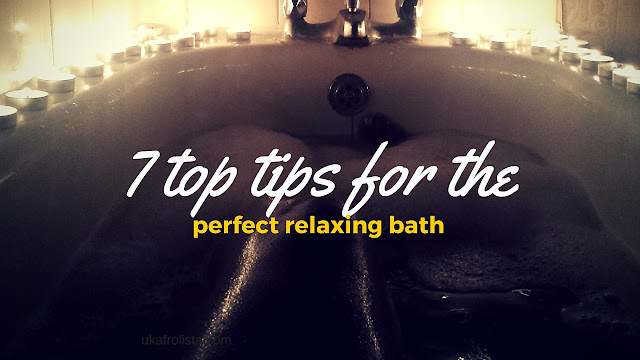 These are seven of my top tips to the perfect relaxing bath that will help you soothe your skin and unwind your mind. Bath bombs can create amazing colours in the bath, which may sound childish to you, but the fantasy and drama of the water can create positive energy in your mind. This helps your body to relax and feel at ease. 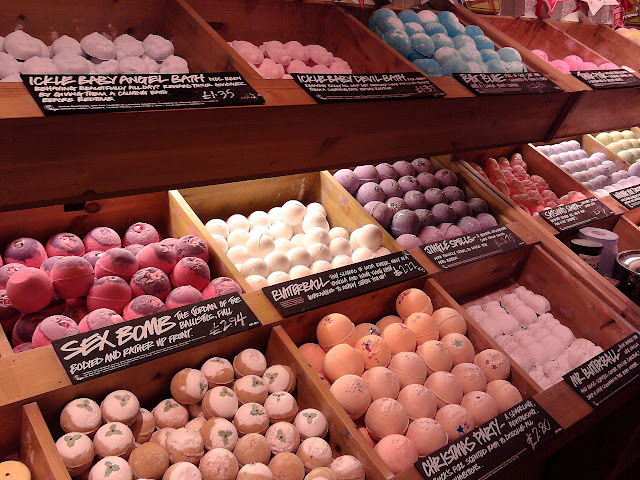 I love Lush Cosmetic's bath's bombs, They come in a wide variety of colours and shapes which add to the fun! Candles are not just for a romantic evening with bae!! 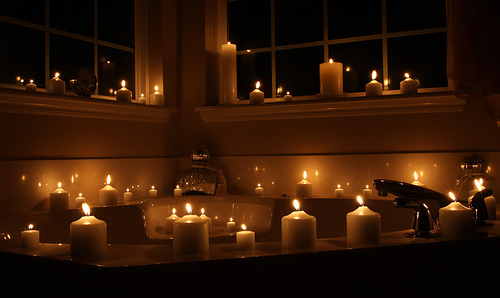 Buy yourself a bag of tea lights from Ikea or scented tealight from Wilko and set them around the bath. Also if you want to push the pocket with a few more coins, upgrade to larger scented candles with a few tea lights around them to enhance the smells and scents. Bubbles bubbles and more bubbles! Bubbles are not just for children!! The foam of bubbles can add fun to a bath and also feel like a soft covering on your skin while you relax. Bath salts are great if you are dealing with body aches and pains. Using bath salts help to relax your muscles and de-stress, releasing tension in your body. To experience the numerous health benefits of Epsom salt, take relaxing, stress-relieving Epsom salt baths three times weekly by adding 2 cups Ultra Epsom Salt to a warm bath and soaking for at least 12 minutes. For the added benefit of moisturizing your skin, add 1/2 cup olive oil or baby oil. 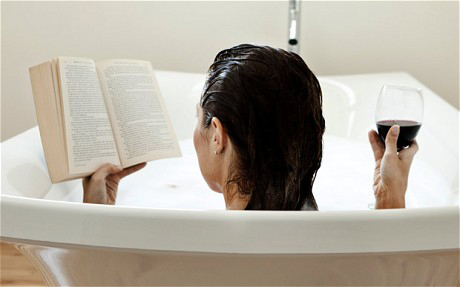 For some people they prefer to read in the bath. I don't trust myself with a book and water. Its a soggy paper affair waiting to happen!! I sometimes will set up my tablet with catch- up programmes and chill in the bath. 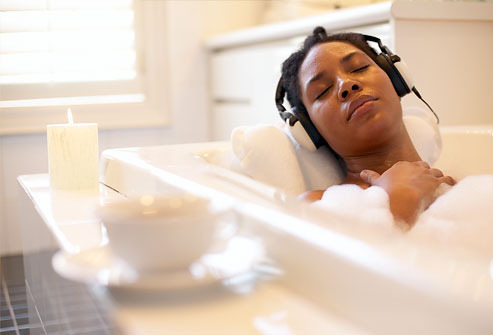 Music is key for me to have the perfect bath. A bit of neo-soul, r&b or soul music really takes me to another realm. I just closes my eyes and let the music take me away!! This may sound like a weird one but, I enjoy baths in the dark. Also sometimes with no music or candles and just be still in the water. For me this is a form of meditation and creating calm. Do you use any of these tips?